8pp letterpress sewn and die-cut with tip-ons, plain wrapper 150 x 100 in acetate wallet. 300 copies. The best young picadons are usually of the purest white, clean and fresh looking, nicely formed and just firm enough to stand up on their own. 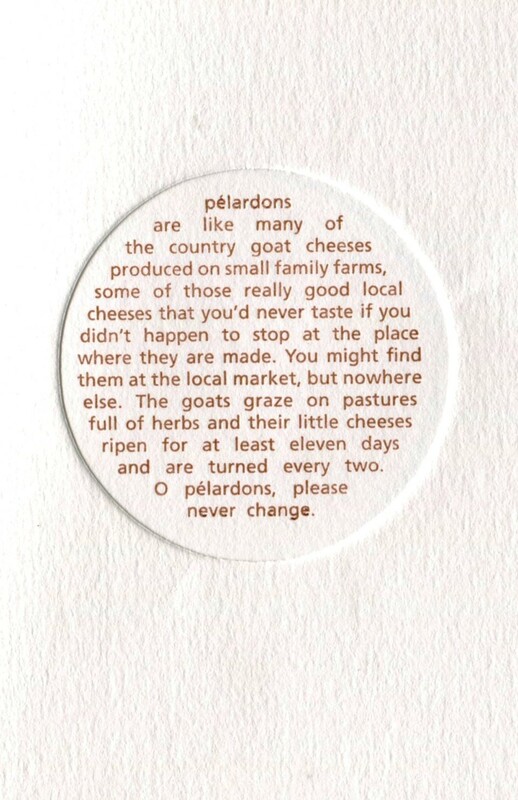 Pélardons are like many of the country goats cheeses produced on small family farms, cheeses that you'd never taste if you didn't happen to stop at the place where they were made.